Among the many restaurants in Viareggio, the “Piccolo Principe” occupies a very special place. There is not just one reason, but many aspects that end up making the restaurant unique in the Viareggio area and in the whole Versilia coast. First of all, the excellence achieved in the cuisine by the chef Giuseppe Mancino and witnessed by the prestigious recognition of the two Michelin stars. A reward that goes to a refined cuisine where even aesthetics is never an end in itself. Because every dish is designed to enhance the highest quality ingredients coming from the sea, from the internal territory of Tuscany or from the different regions of Italy, selecting the best that our country has to offer. The philosophy of the restaurant is well evidenced by the different tasting menus through which to experience a real journey into taste. It happens with the six-course menus “The Sea”, “The Land”, “Vegetarian”; in the 10-course tasting menu “My way…past and present”; in the 5-course menu “The Essential”, a mix of sea and land dishes that allow you to approach the chef’s cuisine. All that is completed by a rich and well-stocked wine list, among which identify the best match depending on the chosen menu. Another peculiarity of the “Piccolo Principe” is the location. The restaurant is situated in the historic and luxurious Grand Hotel Principe di Piemonte, 4-star hotel located in Piazza Giacomo Puccini. We are just a few steps away from the sea, on the characteristic Viareggio seafront. The “Piccolo Principe” has an elegant interior room, located on the fifth floor of the hotel, with a view of the sea and the Apuan Alps. The other location of the restaurant is also truly exclusive: in fact, it is also possible to dine on the roof garden of the hotel, the panoramic sea-view terrace with poolside tables. 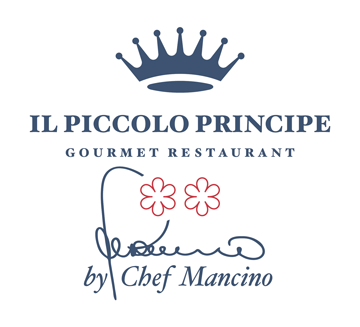 The “Piccolo Principe” Restaurant is open to both hotel guests and outside customers, from 8 March to 31 October 2019 for dinner, from 20.00 to 22.30. Info and reservations at +39 05844011 or ilpiccoloprincipe@principedipiemonte.com.